The company is an integrated manufacturer of long steel products in the country. New Delhi, Sep 12 (PTI) Shri Bajrang Power and Ispat Wednesday filed draft papers with capital markets regulator Sebi to raise Rs 500 crore through an initial share-sale. "The initial public offer (IPO) comprises of equity shares of face value of Rs 10 each of Shri Bajrang Power and Ispat aggregating up to Rs 500 crore," according to the draft red herring prospectus (DRHP) filed with Sebi. Proceeds from the issue will be utilised towards repayment of certain borrowings availed by the company and for other general corporate purposes. 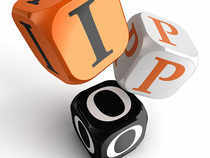 IDBI Capital Markets & Securities, Equirus Capital and SBI Capital Markets will manage the company's IPO. The equity shares will be listed on BSE and NSE.